It’s been a long time coming, but the conclusion to the Dark Souls trilogy is finally here. Your final destination? The Ringed City, a desolate realm filled with mystery lost to time. If you’ve come to this final chunk of DLC expecting all of the answers to the Dark Souls lore, you’ve come to the wrong place. While clues are provided throughout your time there, players will find themselves involved in more riddles fans should know all too well. Search the Ringed City all you want expect some answers, you won’t find them here. Players diving into this new expansion will no doubt be divided. Those who enjoy the challenge that has become trademark of the series will be satisfied. Thankfully, The Ringed City does provide plenty of challenge with the addition of several new enemies that haven’t been included in the game before. I especially enjoyed this after knowing From Software often recycles previous content into their expansions. Seeing we’re in a completely new location, means we wouldn’t see the old ones. And what a new location it is. A beautiful new location to explore and conquer, while remaining appealing to the eye. If you played Ashes of Ariandel and were disappointed with the length of the content, this expansion makes up for it. The Ringed City provides three to five hours of content depending on where you are and how you’ve decked out your character. While the areas can seem small and short, they’re chock full of secrets around every corner. There are four bosses and a handful of sub-bosses you can track down as well. This is a major step forward considering Ashes of Ariandel only had two bosses in total. The fights can be difficult compared to the base game, so players may consider bringing friends. To access the DLC, players will find a spawn from the bonfire right before the final boss in the base game. 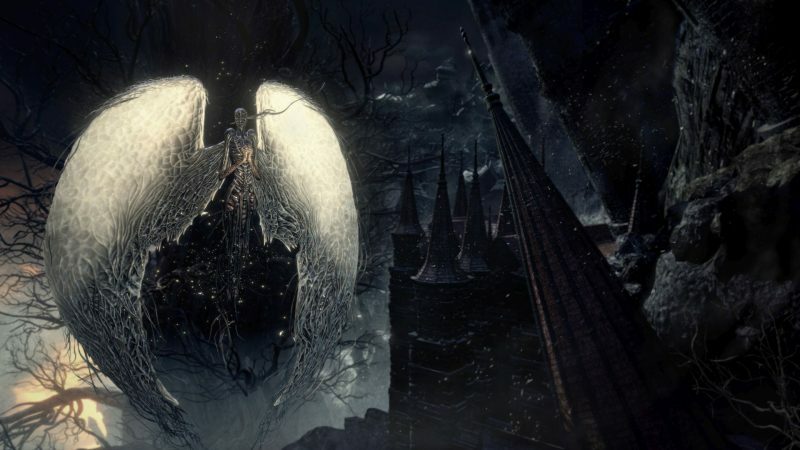 If you’ve purchased the Ashes of Ariandel DLC, you can access it from Father Ariandel’s room. Now let’s get on the topic everyone’s here for; how are the bosses? It wouldn’t be a good Dark Souls DLC without the occasional boss encounters. As I said, there are four bosses, three mandatory and one optional. The first boss is fairly traditional to the series, proving to be a solid fight. The others are fair and can even be considered forgettable. I don’t want to dive too deep into this to avoid spoilers, but I will say fans will either love or hate them. Players will also have to battle NPCs that will be hunting them. Depending on your skill level the encounters can be pretty one-sided. These offer cool encounters that can even be done after you’ve finished the DLC, with an entire covenant associated with them. The final boss is good. It’s an epic fight and a proper way to close out Dark Souls III, but I will say I was expecting a bit more. A neat multi-phase encounter with an arena that’s designed really well. It wasn’t what I was expecting, but no final encounter can live up to the expectations that the series has built up so far. An acceptable final encounter, but doesn’t live up to some of the series’ best. 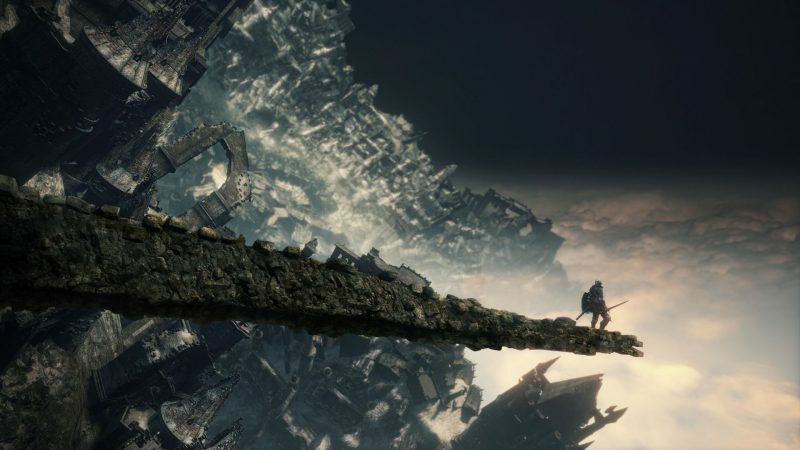 The first area can be mildly frustrating, even for players used to Dark Souls' trickery. Players will be scoping out the area, finding safe spots, and making mad dashes for safety. Nothing is as it seems. I found myself finding safety every so often, only to plummet to my doom, surrounded by terror. It was annoying, because the area involved less combat and more stealth. This repeated at the start of the second area, where players will find themselves playing red light/green light. These annoying areas make it frustrating at the start until you find the solution, leaving the area lifeless. This is where players can backtrack and clean up anything they’ve missed. It was a rough start, but anyone used to Dark Souls’ difficulty won’t mind it. The equipment and spells available in the DLC alone make it worth picking up. I found myself tracking down some pretty cool gear. A set of massive dual greatswords, a dagger that extends to a crystal sword, lighting arrows, and even a giant door. Certain armor offers new sleek designs to enjoy and the new +3 rings are handy. https://www.youtube.com/watch?v=5VhnJ-7PbTE The Ringed City gives players plenty to do and wraps up the Dark Souls series in a neat bow. It’s a great part of the Dark Souls III experience and I highly recommend picking it up. If you’re a fan you’re going to enjoy your time with and will offer enough challenges to keep you invested. It doesn’t reach the heights of From’s DLC like The Old Hunters did, but it does a damn good job.